World Martial Arts Media welcomes you to the Hapkido Self Defense Schools USA blog. The purpose of this site is to tell you about the most qualified martial arts schools in your area. We have locations in Clermont, Ocoee, Orlando and Winter Garden, Florida along with locations in Conyers, GA, Chattanooga, TN and Etowah, NC. This blog is proudly sponsored by World Martial Arts Media and the Korea Hapkido Federation Haemukwan. Click above or Here to watch our sponsor’s video. What is Hapkido? Hapkido is a Korean self defense martial art with roots in Jujitsu. It is the Korean cousin of Aikido. Some people call Hapkido the first mixed martial arts because it combines aspects of Karate, Jujitsu and Aikido. For the traditional Korean self defense art of Hapkido, the problem is not so much choosing a school. It is finding a qualified school certified by the World Headquarters in Korea. If your purpose is to learn a traditional self defense martial art, you may very well learn that finding a proper school is something of a task, if not a quest. This site was created to assist you in that quest. Call one of the schools below to schedule your special visit for a free trial course. Remember that a school of any kind is a place of learning and that experience of the teachers in very important. This is especially true of martial arts schools. The Hapkido self defense schools located in Clermont, Conyers, Orlando, Sunrise and Winter Garden has a master instructor with over 30 years of teaching experience. He has been featured in leading martial arts magazines, radio shows and is the Host of the World Martial Arts TV Show. He is a multiple Hall of Fame Award Winner and family man. His name is Dr. Richard Hackworth. You are planning to enter into an educational experience. It may interest you to know that Grand Master Hackworth operates the only Hapkido schools in the area licensed by the World Hapkido Headquarters in Seoul, Korea. He holds official master level ranks from Korea in Hapkido, Taekwondo, YuSool (Korean Jujitsu) and KyukKumSool (Korean Sword). He was featured in the martial arts documentary “The Warrior’s Quest” and conducts the Official National Annual Black Belt Exam in May of each year. 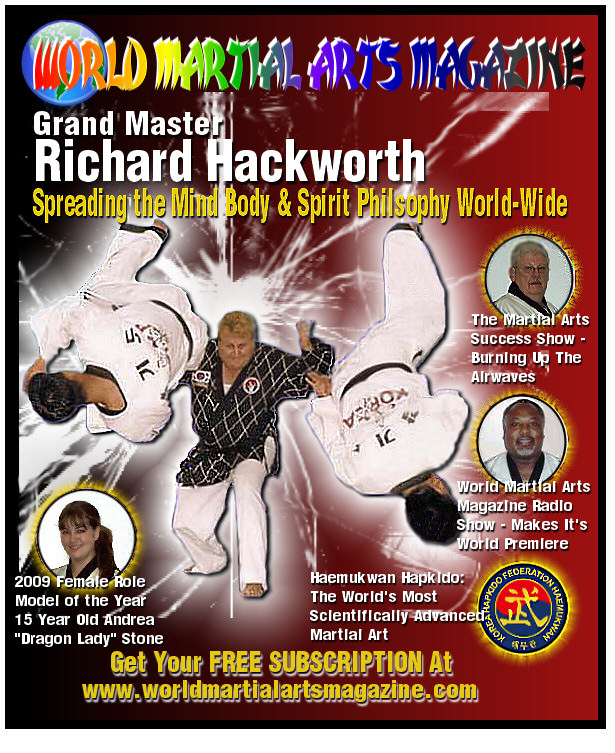 As one of the leading Hapkido and self defense experts in this country Grand Master Richard Hackworth is the senior Editor for World Martial Arts Magazine. Each issue features one of his exciting articles focusing on the topics of Self Defense, Hapkido, martial arts history and other martial art schools related subject. Grand Master Richard Hackworth invites you to get a FREE subscription as his personal gift to you by visiting this Link. 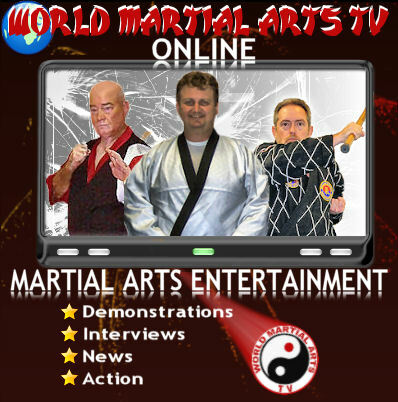 Grand Master Richard Hackworth has been called the King of martial arts media because of his involvement in everything from magazines to radio shows and even martial arts television and movies. There seems to be no limit to what he is able to do as a martial artist and business leader. 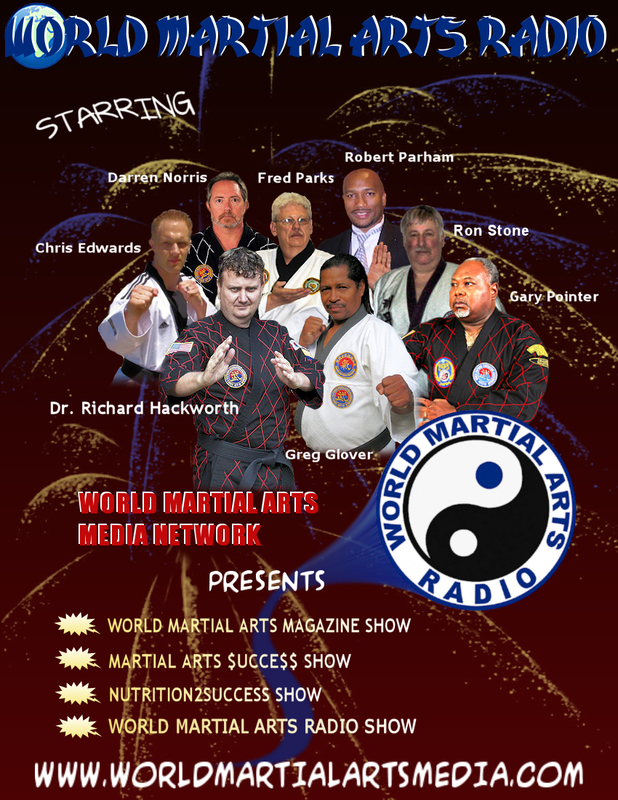 You can hear him each week on the World Martial Arts Radio Show, the Martial Arts Success Show and the Richard Hackworth Show on the World Martial Arts Media Networks. His world wide radio career actually began in June of 1994 as a show host for the Martial Arts Radio Network. The network was later bought out by a competitor and merged to later became part of the Action Radio Network in Orlando, Florida where he was the host of their top three rated shows from 1994 until 2002. In 1995 Richard Hackworth debuted on the “Turning Up The Heat!” TV Show on Brighthouse Networks in Orlando, Florida. This was his first television role where he performed using his amazing martial arts skills. Since then he has helped Direct and Produce the “World Martial Arts TV Show” and was recently invited to be the Host of the show along with his co-host, Grand Master Fred Parks. Grand Master Hackworth caught the attention of the media early on in his martial arts career in Japan and Korea where he enjoyed reoccurring roles on two popular television series. 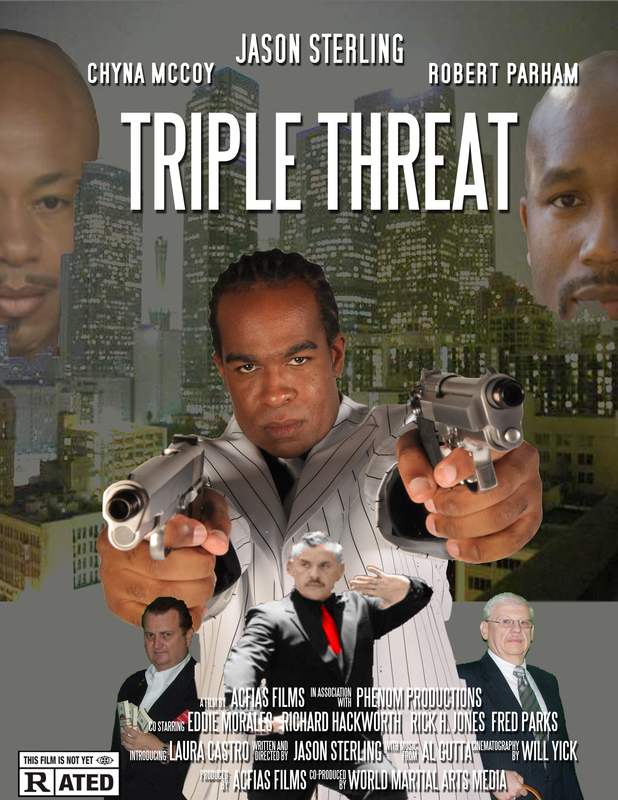 This exposure lead to films roles in martial arts documentaries like “The Warrior’s Quest” and action films like “Triple Threat”. As a Villain in martial arts action films he has developed a reputation for extreme on screen intensity. The realistic feel of his action sequences and fight scenes are due to the explosive nature of Hapkido techniques that leave your opponent a broken pile of flesh and bones. Please visit our proud sponsors below. Thank you.